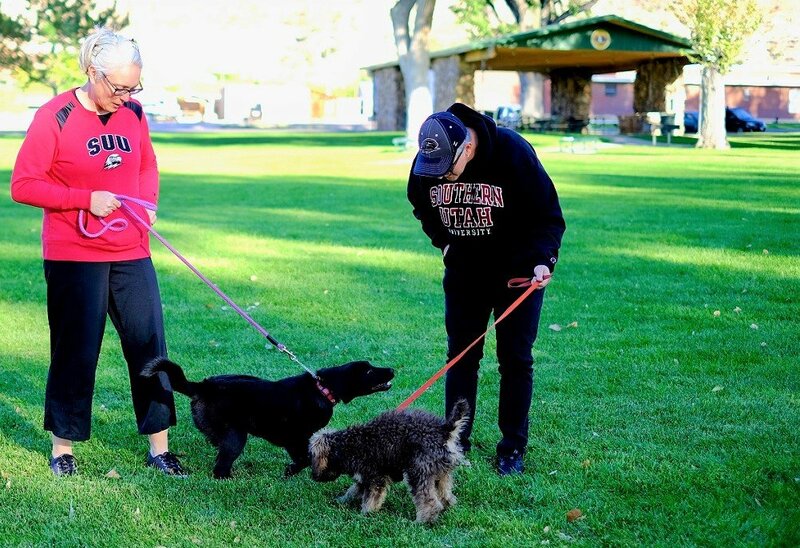 CEDAR CITY — Southern Utah University’s Community Education program has taken Cedar City residents on some fun adventures in its first year and taught some fun, creative skills along the way. From alcohol ink painting, social dancing and cake decorating, to more serious classes like Southern Utah Geology hiking and the Master Astronomer’s Program, more than 500 residents participated in 71 social-based, fun, affordable classes. Photography instructor April McPherson has taught classes as an adjunct professor at SUU, but working with community members has been a rewarding experience like no other, she said. Not all SUU Community Education participants are from Cedar City. Lori Hanna, owner of Perks Espresso & Smoothies in St. George, said she and her husband enjoyed getting away from their busy life as business owners and escaping to Cedar City where they took an Art of Wine Tasting class offered through SUU. Community Education is continuing its learning opportunities with more affordable, short-term classes in spring 2019, including; Paws and Pathways, Travel Spanish, several art classes, financial strategies, gardening, landscaping and several other classes designed to be active, social and fun. Grab a friend, family member or neighbor, or meet new friends along the way and sign up for one of more than 40 new classes this spring. For help registering for a class or to have a spring class schedule mailed to you, call 435-865-8259 or stop by the SUU Office of Community and Academic Enrichment at 136 W. University Blvd., Suite 003 in Cedar City. Drive through Cedar City, “Depressed” and “Depressing” are the only impressions you are left with. The University is beautiful, the wealthy are mostly on the hill across the freeway with the “Temple” everywhere else is marginal at best. Constant low wages, turnover & closures are everywhere.